Reliable information for making good decisions. Sage advice for smart buyers and sellers. Single Family. Multi Family. Investment. 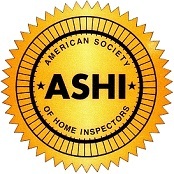 ASHI Certified Home Inspector – Schedule OnLine 24/7 or call 314-704-6834. Buying or selling we want you to have everything you need to know to make great decisions. We offer inspection services for building, termite, radon, gas, sewer. No home, investement property or commercial building is too small or too large. We save our clients money every day by helping identify potentially costly problems – before closing. We take as much time as is necessary to not only evaluate your home but make sure you are comfortable with that information. We know you are being bombarded with information and acronyms from agents, lenders and title companies so we’re not going to bury you in construction terminology. We’ll help you know what’s important and what’s not so critical. Some things are cookies, and others re just the crumbs – knowing the difference will help you decide which problems need to be addressed and which can be negotiated or deferred. Sellers use us to help make pre-listing decisions about which to repairs and to make or which to simply disclose properly. That way buyers make fair offers based on their own estimates and preferences. For example, if a bathroom had some plumbing fixture issues… It might be better to not spend anything at all – just disclose the problem. A buyer might be planning to upgrade the bathroom anyway, so instead of wasting money on repairs the seller might be better off accepting an adjusted, lower but fair, offer. We’re all about the win-win. If we have good information, we get to closing with no surprises. It’s that simple. We treat every home inspection like it’s our most important one. 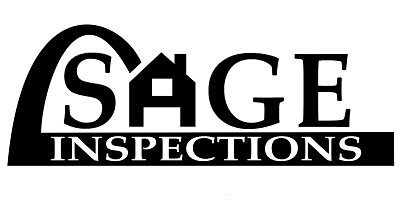 Sage is certified, licensed and insured and we genuinely appreciate your business. We work hard to make sure that the home you love will love you back. St. Charles, Jefferson and Franklin Counties. Affton, Arnold, Ballwin, Brentwood, Chesterfield, Clayton, Crestwood, Creve Coeur, Des Peres, Eureka, Fenton, Festus, Florissant, Franklin, High Ridge, House Springs, Jefferson, Kirkwood, Ladue, Manchester, Maplewood, Maryland Heights, North County, O’Fallon, Pacific, Richmond Heights, South County, St Peters, Sullivan, Sunset Hills, Troy, University City, Washington, Webster Groves, West County Wildwood, and wherever our customers need us to go. When researching Home inspection choices always use a certified professional. 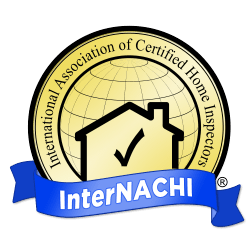 Here are lists of local ASHI Certified Inspectors or NACHI Certified Inspectors. Your realtor, Angie’s list, and the BBB Better Business Bureau are also good places for referrals and to see reviews.